Welcome to the most exciting indoor Karting Centre in Weston-super-Mare. Not far from Bristol, Taunton and Yeovil. AJ’S Karting (formerly known as Premier Raceway) offers an amazing driving experience thanks to our unique multi-tiered track. T he track has been designed to reward and inspire drivers of all abilities and ages. 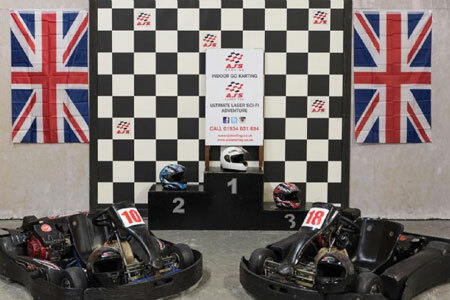 We run a variety of different events including “Arrive and Drive”, Children’s Karting, Corporate Events, Stag & Hen parties birthday parties – or why not set up an endurance race? Our track layout has been designed to provide both novice and experienced racers an experience they won’t forget. It offers a combination of tight and sweeping corners and varying surfaces offering different grip levels to test even the most technical drivers. One thing we all agree on is that it’s very physically demanding to get around quickly! 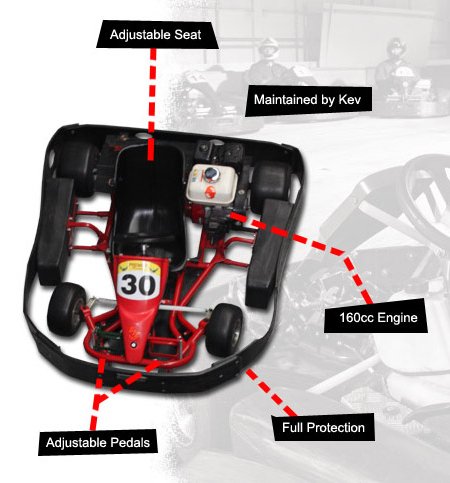 All of our karts are 200cc (and 160cc for junior karts) and all maintained in-house by our expert mechanics with no expense spared. These karts are geared perfectly for the track and timed electronically on our state-of-the-art computer equipment. Let them drive these first! Our junior karts are very popular. We are one of the few circuits in the South West who can cater for children under the age of 16. We have our own fully adjustable 160cc engine junior karts. All we ask is that your children are 8 years or older and over 4"3’ tall and the Race Director is satisfied that your child can reach and operate the pedals. Pedals are adjustable and we have padded seat inserts so most children can be accommodated. We offer many packages to meet your Stag and Hen’s Party needs to get your day started with something exhilerating! Whether you’re stag or hen you’re guaranteeed to have a great time! Boys vs Girls or we can mix it up! Either way it’s a chance to see who really are the better drivers! Why not make your child the talk of the classroom and have an exclusive karting birthday party? Awards are given to each driver for taking part and everyone is guaranteed to have fun! So, if you’re in the Bristol, Taunton, Yeovil, Weston or anywhere in the Somerset or South West areas get in touch! All corporate events offer exclusive use of the track and facilities, the service of a dedicated Race Director with a full podium presentation and trophies for the winners and to make sure the slowest driver feels special one for them as well. The team based racing provides a great opportunity to develop teamwork in a racing environment. We can provide a bespoke package to meet the needs of your organisation. Isn’t team building just an excuse to get a day out of the office or work place on a paid jolly? Most definitely not! Here at AJ’S Karting we understand that good team building is essential to the ongoing success of any business large or small. Refreshments - Food is not provided but can be arranged. 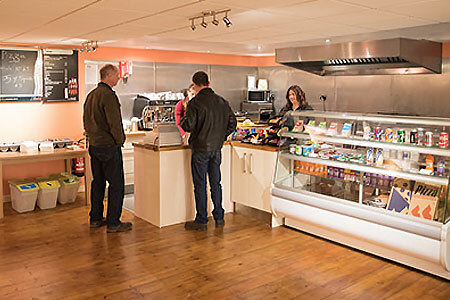 We also have Flo’s Cafe where we have an extensive menu and hot and cold drinks available. A vibrant but relaxing café situated in the heart of our facility. Providing a great atmosphere to meet up with friends, have a business meeting or book for an event, you can enjoy one of our fabulous barista made coffees, a refreshing cup of tea, or a tantalising hot chocolate. We pride ourselves in only using fresh produce to guarantee great flavours and offer a wide range of cakes and snacks. Whether you are part of an event or just passing by, Flo’s Café is an ideal place for you to sit back and relax on our cozy sofas. We hope to see you soon. The Coffee Lounge will stay open longer if needed to cover events which have been booked with us. 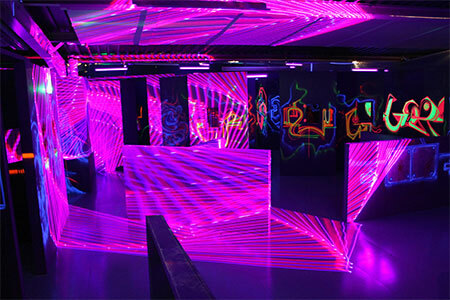 Laser Quest is a non contact event for up to 18 players. Our dedicated arena provides the perfect setting for a variety of game formats. Through the airlock you go to face your toughest challenge... will you emerge as overall winner? In the arena we use sound smoke and lights to create an intense atmosphere, there you must use stealth and strategy to outwit your fellow players, to rise from the darkness as victor from your epic battle. Points are awarded for every hit you get and deducated when you get shot. It’s simple, yet intense, fun and rewarding. In the arena we use sound smoke and lights to create an intense atmosphere, there you must use stealth and strategy to outwit your fellow players, to rise from the darkness as victor from your epic battle. The arena has been designed to provide excitement and the opportunity to choose your strategy of attack or defend. It lends itself to the various game types we provide.